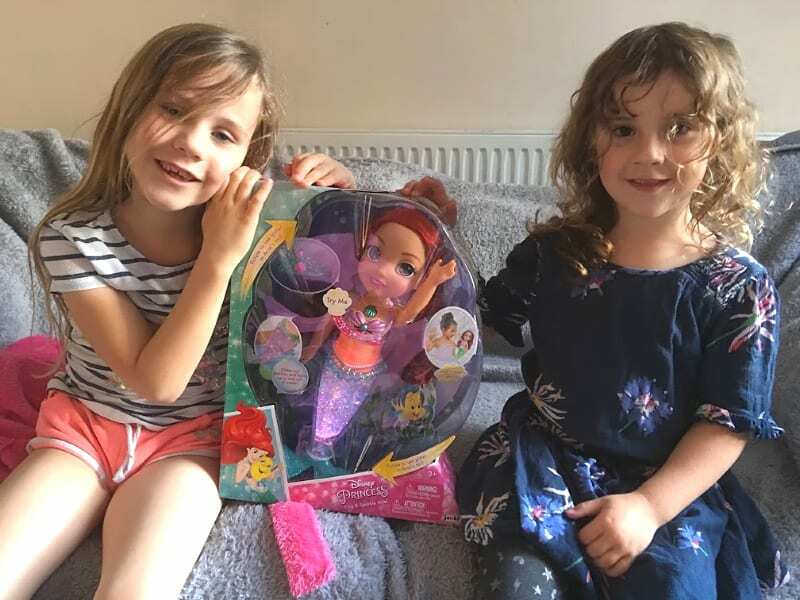 Ariel from the Little Mermaid is one of the girls favourite Disney characters by far, so when the Disney Princess Sing and Sparkle Ariel Doll arrived at our house there was a huge amount of excitement. As always when a Disney Princess doll arrives in our house, I could not get it out of the packet fast enough for them. They were very excited to start playing with Ariel straight away which is always a good sign with children’s toys isn’t it. There are lots of lovely features to the Disney Princess Sing and Sparkle Ariel Doll which we all adore. Firstly her Ariel mermaid tail creates the perfect stand which means she can be displayed neatly on a shelf if needs be. 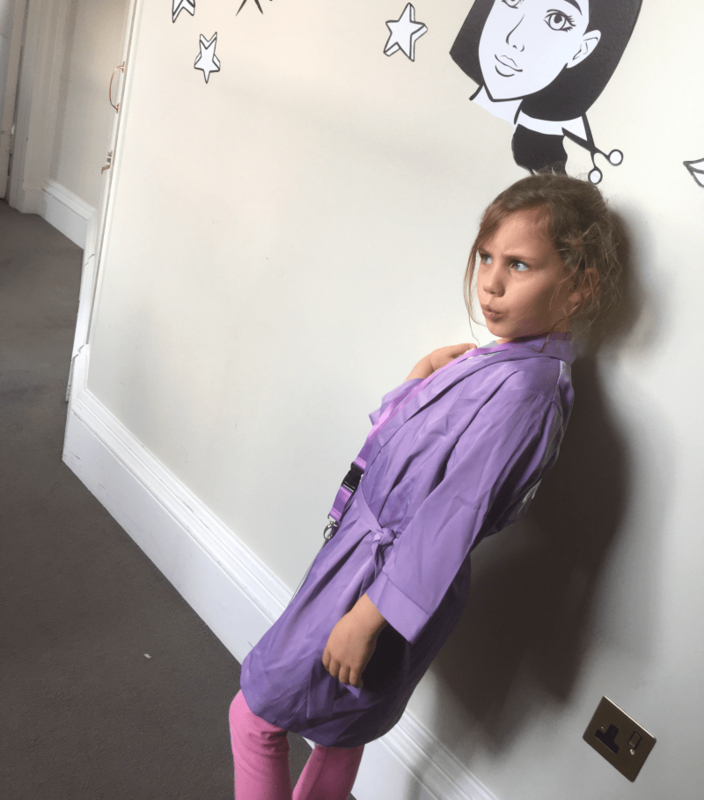 What the girls really love about this is that they can stand her up when they want to style her hair. 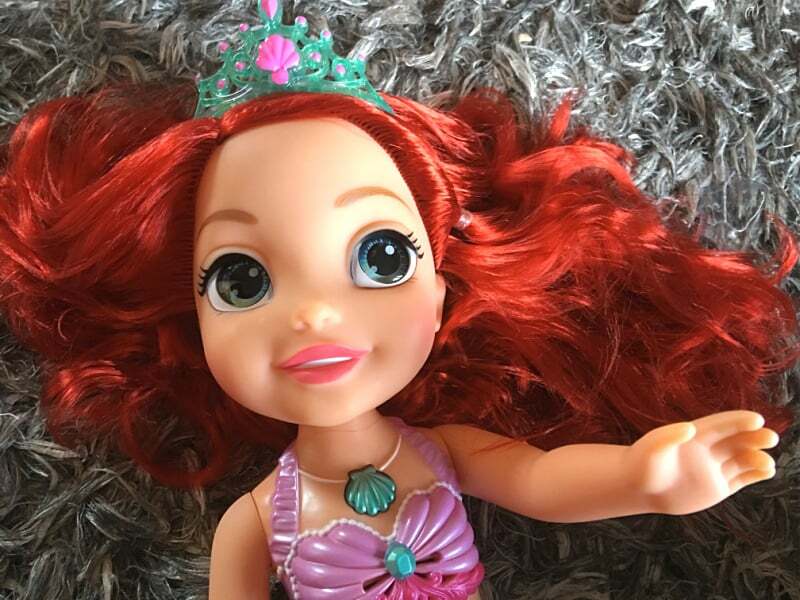 The Disney Princess Ariel Doll comes with beautiful long red hair and is perfect for any child that enjoys creating new hairstyles. Her hair goes into plaits so easily and I’ve seen so many creative ponytail combinations, especially from Indie. Ariel also comes with a lovely sparkly tiara which makes the hair styling even more fun. 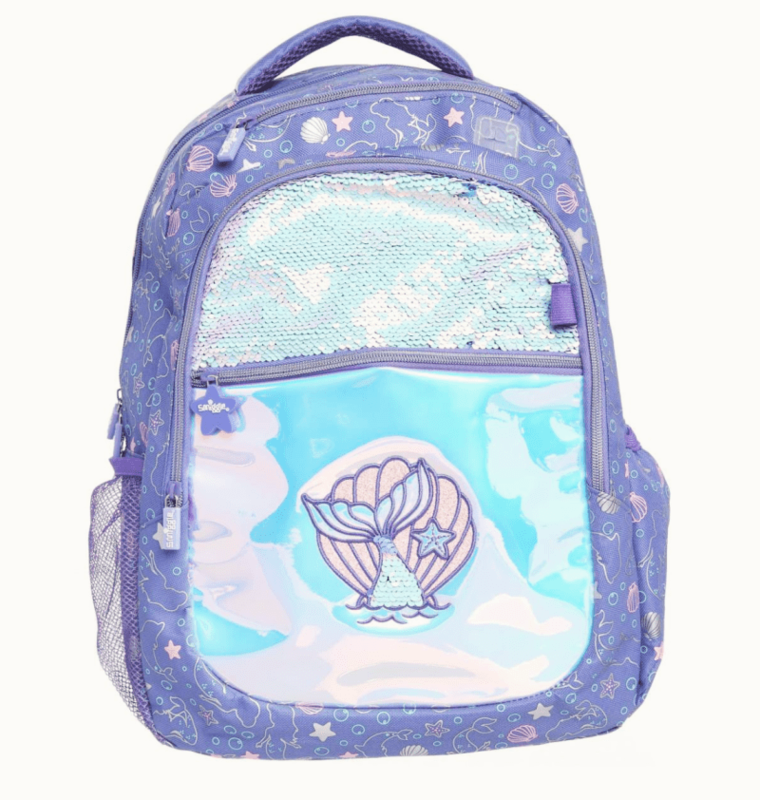 The Disney Princess Sing and Sparkle Ariel Doll really comes to life with her Little Mermaid phrases and songs. Brook and Indie both love the songs ‘Under the Sea’ and ‘Part of Your World’ and they love hearing Ariel sing them. She has a beautiful light up glittery tail too, so there is no doubt in their minds that they are playing with the best Ariel doll yet. Not only does Ariel sing, have great hair and stand perfectly still for her daily trips to the hairdresser, she can also go under water. She wouldn’t be a mermaid if she didn’t, right? When it’s bath time, the Disney Princess Sing and Sparkle Ariel Doll tail colour changes while singing her favourite songs. 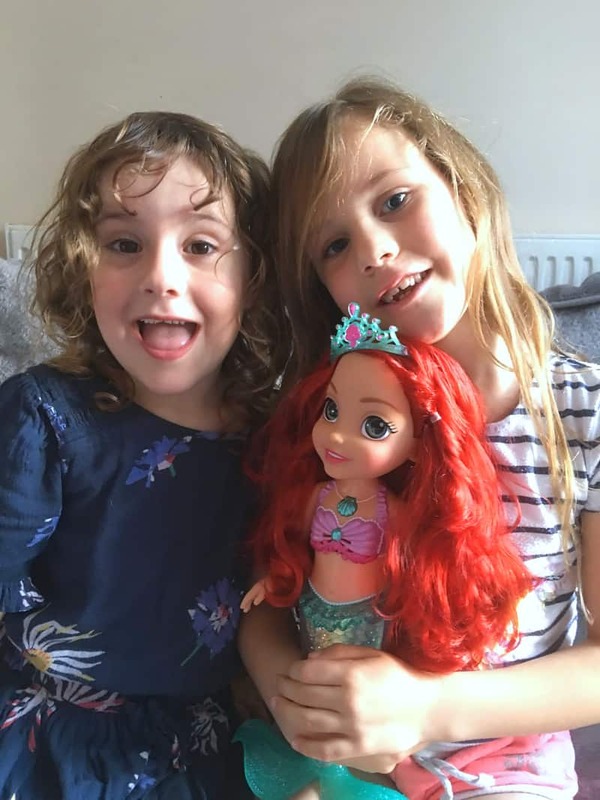 Both Brook and Indie have both had a lot of joy from playing with this Disney Princess Ariel doll. 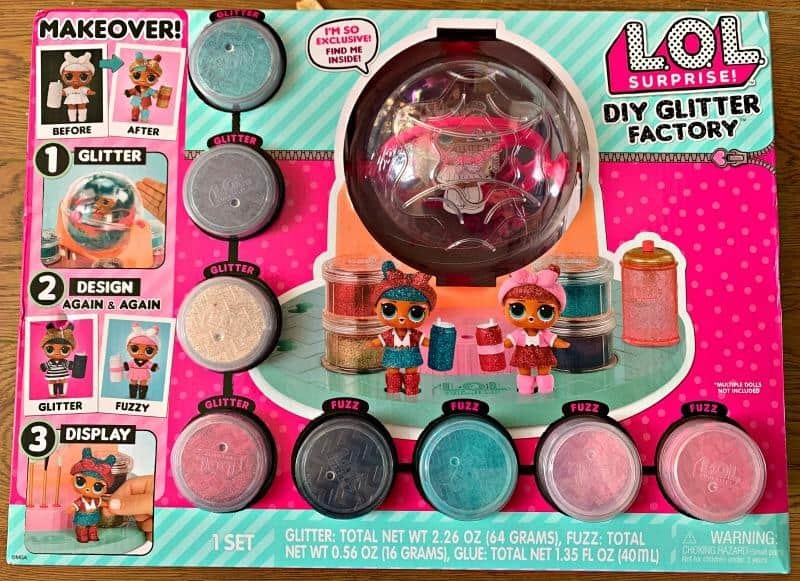 They are 4 years old and 6 years old, but if your Little Mermaid fan was 3 or maybe 7 or 8, they would still really enjoy playing with this doll. The true test of any toy is whether the children continue to play with it a few weeks after it’s arrived. We have had the doll a good length of time now and can safely say it’s as popular now as when it first arrived. The Disney Princess Sing and Sparkle Ariel Doll costs £34.99. It’s available at Argos, Amazon, and The Entertainer. 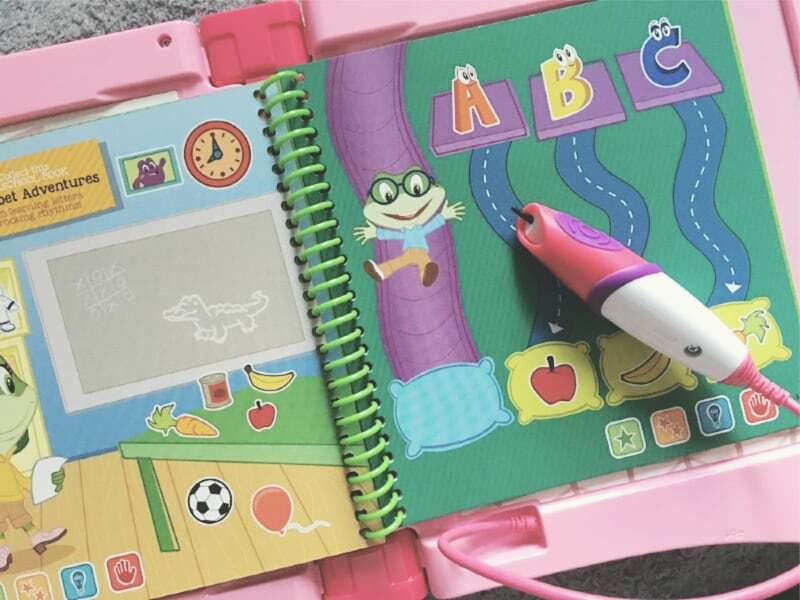 It’s suitable for ages 3+ and requires 3 AAA batteries which are included. So if a singing Ariel doll made it onto the letter to Santa this year, we would be more than happy to recommend you order one from the elves right now. We were provided with the Disney Princess Sing and Sparkle Ariel Doll for the purposes of this review, but all thoughts and opinions are our own.